Been one of the awaited movies of this year, the recent south Indian flick Anjaan has reported nice box office report in its total 12 days journey. 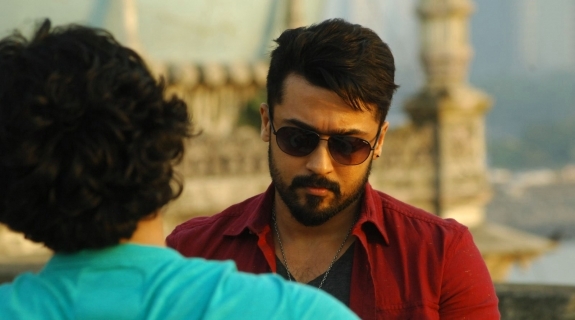 Despite largely negative reviews, Anjaan has made a real killing at the Chennai box office in the opening weekend. The first 3 days collection figure is a new city record by far. The strong advance bookings have helped the film sail through. The movie released worldwide so everyone expected that the collections will be high. Anjaan movie released in 1400 theaters all over the world, but in Tamil Nadu it has released in 450 theaters so the region reported more box office collection in Tamil Nadu when compared with other cities and countries all over the world. Anjaan complete star cast includes Suriya, Samantha Ruth Prabhu, Vidyut Jamwal, Brahmanandam, Rajpal Yadav, Manoj Bajpai, Dalip Tahil, Murli Sharma, Sathyan, Asif Basra, Joe Malloori, Uma Riyaz Khan and Jangiri Madhumitha. Performance of all the cast is fantastic and audience enjoyed it thoroughly. Anjaan has clearly surprised everyone with the kind of immense support it is getting from the audience at present and this is quite evident from its current box office collection which are continuously rising at a steady pace. Today being the 12th day of release of this superb film it has managed to attract audience well and collected an Income of 1.2 Crores on its 12th Day. Film is getting good reviews from the public and it has generated a satisfactory amount of money through it. Most amazing fact is that it is dominating movies like Singham Returns, Entertainment, Kick and Mardaani in Southern regions as it is not providing them any space to create any impact there. We need to see what does this film shows us in the coming days and weekend.